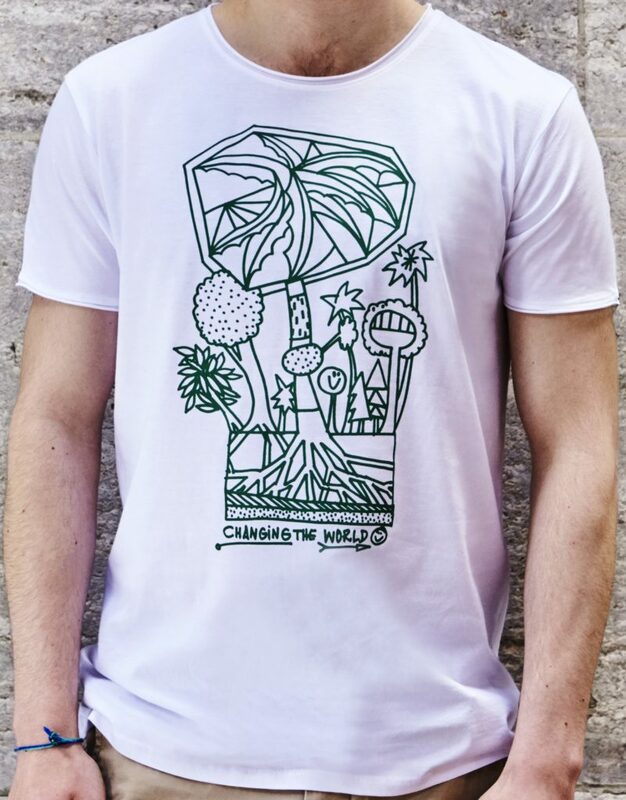 Street Art Berlin and CAUSA Clothing are partners in making the world a better place. CAUSA’s mission is bringing the hip world of fashion and the social world of charity closer together. They do this by creating a hybrid product that appeals to both and everyone in-between. CAUSA´s goal is to create incentives for savvy and prominent people to engage more with exciting social projects around the world and so increasing the general knowledge and motivation about worldly ongoings. People define themselves through the clothes they wear and make statements to their peers through this channel. 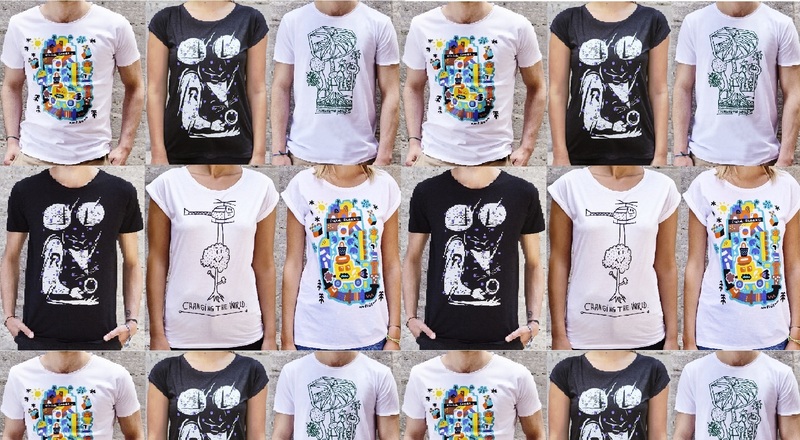 So we started cooperating with Berlin based street artists with the goal to create T-Shirts that appeal to everyone but carry a meaningful message. But there is another adavntage, too: Living in a highly over-connected world, we decided to use this phenomenon by printing QR-codes on the back of each T-Shirts and so creating more context to the experience. Every story can be told immediately, making each t-shirt wearer to an ambassador for their chosen cause. APOPO is a Belgian non-profit organisation that trains African giant pouched rats to detect land mines. APOPOs real focus is returning as much land as possible to local communities. Last year they returned more than nine million square meters. Currently they operates in countries like Cambodia, Mozambique and Angola where past conflicts have infested the country with land mines. The rats are trained to smell explosives, once a landline is found the rat scratches the ground so that it can be removed safely. Here you find a short documentation about APOPO. 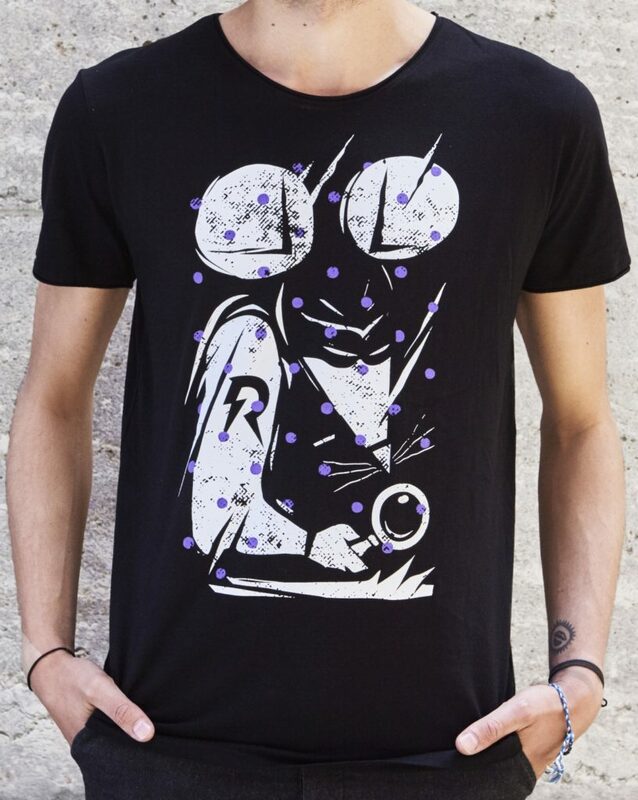 The t-shirt of this campain is designed by Vidam- The Weird. Vidam is a Berlin-based street artist, artist, muralist, illustrator and designer. Vidam is hungarian and means „happy“. As part of the graffiti and street art crew “The Weird” he loves traveling around the globe painting walls with his friends and creates funny and complex illustrations. Field Ready was founded by professionals in humanitarian relief, technical services and engineering. Their combined experiences total over four decades in developing countries and disaster stricken areas. Taking hard earned lessons from places like the Horn of Africa and Central Asia, Field Ready borrowed from the best of Silicon Valley to conceive a meaningful and transformational approach to the challenges of humanitarian relief and working in the most remote and challenging places on the planet. 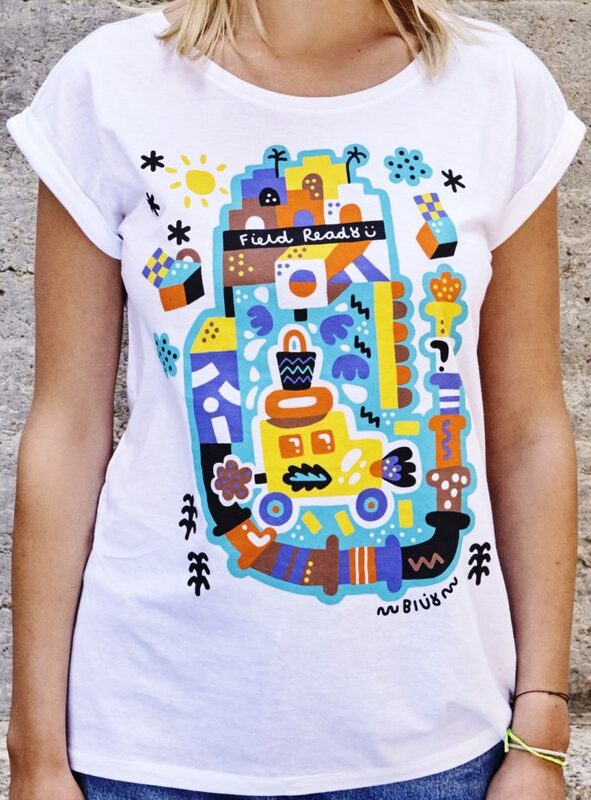 The t-shirt for this campain is designed by Billy & Alex. Billy is an English street artist based in Berlin with a passion for colours and the aim on keeping happy and positive through artworks using visual elements like shapes and symbols. Biocarbon Engineering is an Oxford based start-up, which is trying to fight deforestation with their new technology. Their aim is to plant one billion trees in one year through drones. The drones are loaded with fertilised seed balls or „seed bombs“ and are dropped in areas where reforestation is necessary. Currently Biocarbon Engineering is still developing the most effective plan in order for them to start planning in the future. Here you find the video about the project. The t-shirt for this campain is designed by 44 Flavours. 44flavours is a Berlin based street art and design duo founded by Sebastian Bagge and Julio Rölle. They are specialised in art, murals, illustration and graphic design. Because of being a duo, 44 Flavours created two different designs for the Seed Bomber project. All t-shirts are available in female and male cuts and all sizes. You can order and purchase them here. We are looking forward to have more amazing campains with CAUSA Clothing and STREET ART BERLIN.